Free 3-Month Trial of SiriusXM All Access package with over 150 channels, including commercial-free music plus sports, news, talk and entertainment in the car, plus access on smartphone, tablet and computer* - Over $75 value! Upon successfully enrolling in the program, download the improved Dealer App. For best results, launch the app, turn location services and SiriusXM and scan the VIN. See more Radio Activation details here. 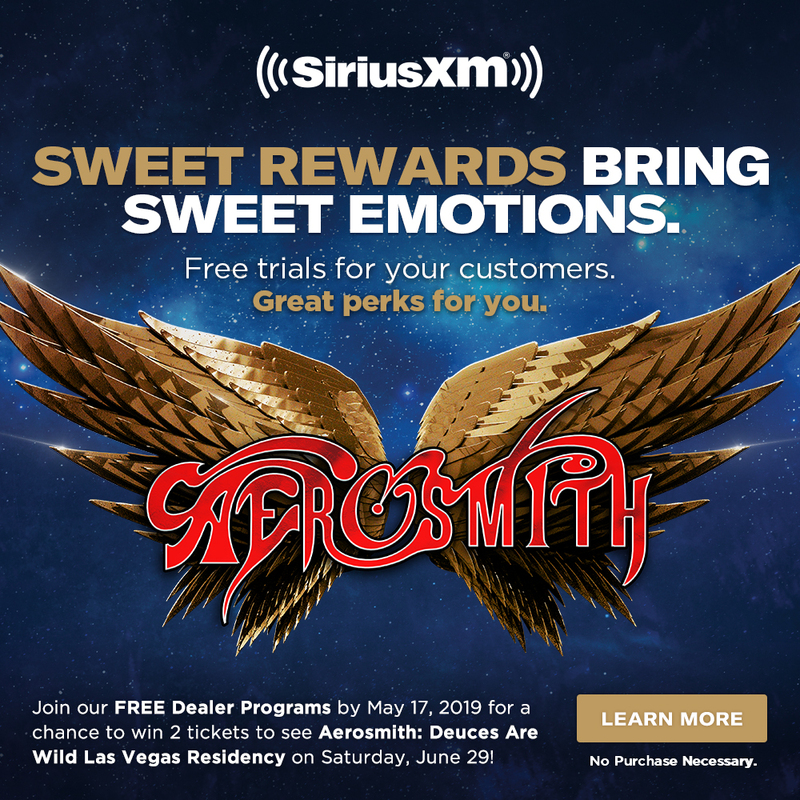 * All eligible vehicles equipped with factory-installed satellite radio will receive a complimentary 3-Month Trial of the Sirius or XM All Access programming package (a $20.99 monthly value) PLUS complimentary activation ($15 value). 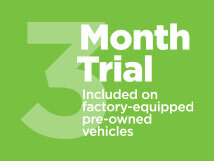 ** SiriusXM Dealer Demo Service is intended for use on dealer lots and test drives. Details: If your customer decides to continue service after their trial, the subscription plan they choose will automatically renew thereafter and they will be charged according to their chosen payment method at then-current rates. Fees and taxes apply. To cancel they must call us at 1-866-635-2349. See our Customer Agreement for complete terms at www.siriusxmdealerprograms.com | www.siriusxm.com. All fees and programming subject to change.